For a time, Oculus Rift Dev Kit owners enjoyed being able to play Elite: Dangerous through the eyes of a pilot. 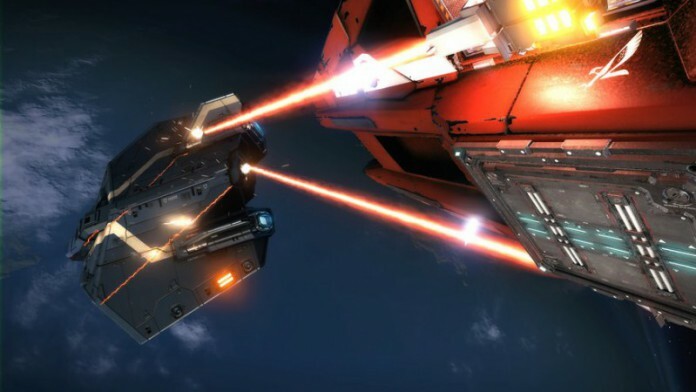 Then the news came that Frontier were struggling to make Elite play nice with SDK 0.7, and although it can be made to behave on 0.8, it’s not the simplest solution. Now, Frontier has confirmed that Rift support is no longer top priority, in preference of SteamVR. The final sentence contains an important clarification. We’re all a bit twitchy about exclusivity deals impinging on PC space, so it’s a relief to know that nothing has been contractually ruled out. Still, until Rift support catches up, it’s bound to disappoint those with headsets on order—launch title developers are already using SDK 1.0. Update: On its forums, Frontier has stressed that it is actively working with the Rift—SteamVR is just the focus. Previous articleThe Witness Is $40, Dev Jokes That Preorders Get You "Warm Fuzzy Feeling"